The 17th annual Virginia Peninsula USBC Bowling Association Seniors tournament was held at AMF YORK in Grafton, Virginia o n the weekends of November 17th and 18th 23rd and 24th. The Association would like to thank the staff of AMF YORK for hosting this years tournament and for their hospitality. Over the two weekends over 100 of our Senior Bowlers came out to compete in the annual event enjoying the fellowship, competition and a chance to be an All Events Champion. In the Open All-Events Divisions Hammie L Rowe of Gloucester, VA shot 1,482 total taking 1st Place in the 70 & Older Division. 60 To 69 age division 1st Place Lawrence Gibson Jr of Hampton, VA with 1,488 and in the 50 To 59 age division 1st Place Jeffery K Franklin of Yorktown, VA rolled 1,488. Women’s All-Events Divisions , 70 & Older, 1st Place Gwendolyn H Mulqueen (1,384) from Yorktown, VA, Mary J Hill (1,371) from Kilmarnock, VA in the 60 To 69 age division. 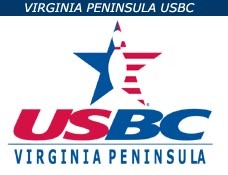 This entry was posted in Tournaments on January 3, 2014 by Virginia Peninsula USBC.